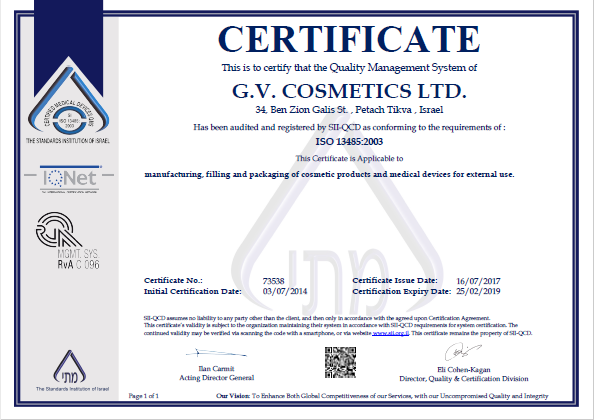 GV Cosmetics is a privately-owned company founded in 1993. 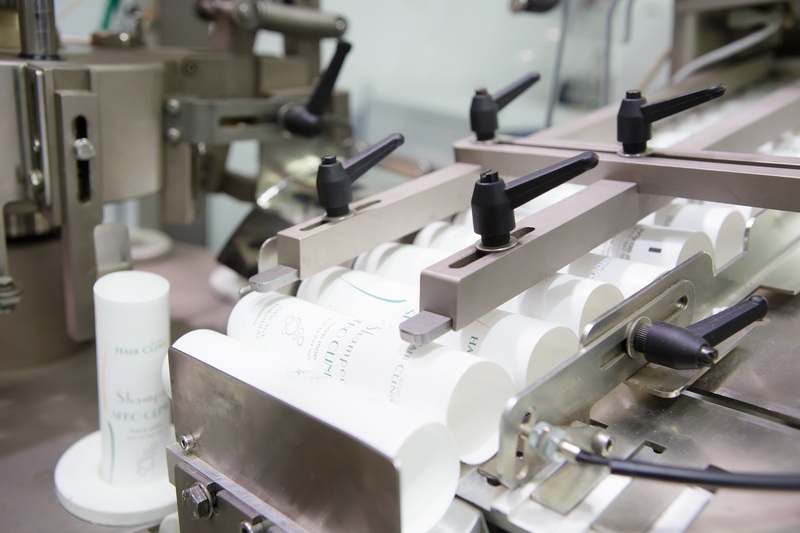 Since then it has been providing research, development, and manufacturing services for high-quality cosmetic products in compliance with international standards. Our customers are the leading companies in Israel. The company provides its customers with a comprehensive solution from the concept stage through to delivery of the final product. GV focuses on development of a broad range of innovative products, maintaining high quality and compliance with international standards, delivering value and differentiation in accordance with the customer requirements. Our in-depth knowledge and experience, built over years of hard work, along with our passion for excellence, our professional manpower and our work with high-quality raw materials, position us as the ultimate solution for customers interested in setting up high-end product lines, for sale in Israel and worldwide, tailored specifically to their needs while complying with international standards. The company factory is located in a modern 3000 sqm. building, equipped with the most advanced, state-of-the-art machinery in the world. The production process at our factory is computer-driven. It is controlled by a monitoring and testing system capable of producing 10,000 liters per day. 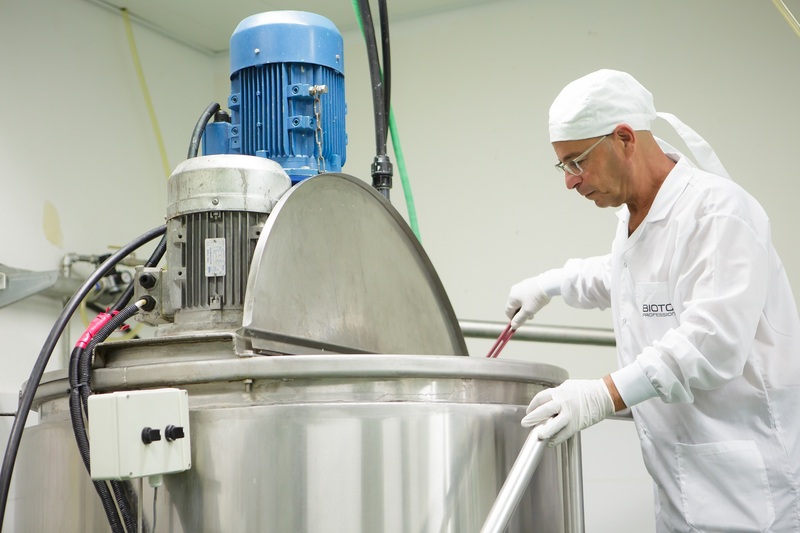 The factory specializes in manufacturing a broad range of cosmetic products such as: facial, hair and body care, paramedical cosmetics, spa products, Dead Sea products, baby products, intimate products and non-prescription medical products. ISO 13485 – Standard Seal for Manufacture of Non-Prescription Drugs. Golden Seal – Certificate of Excellence for 2014, 2015, 2016, and 2017. 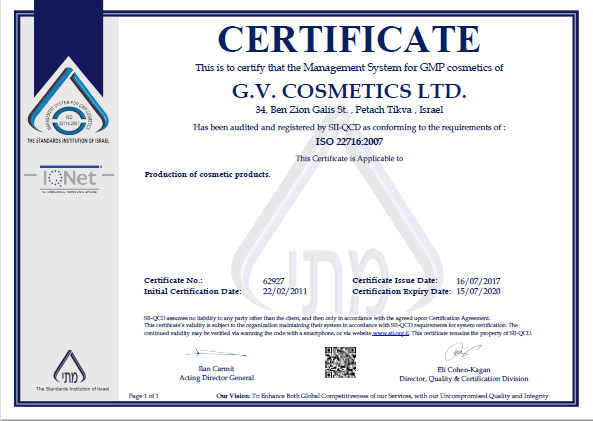 GV Cosmetics has made quality, professionalism and innovation the three pillars of its credo. 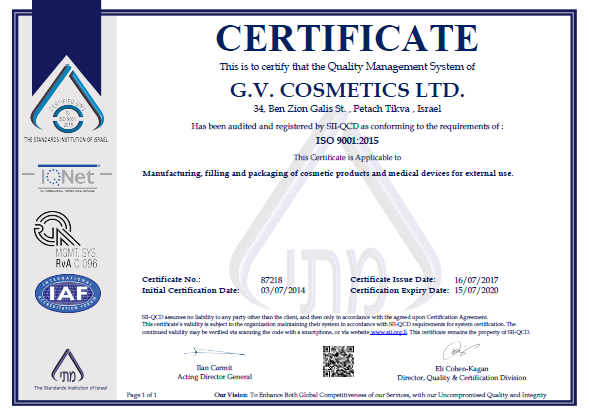 Accordingly, GV Cosmetics constantly innovates and updates itself with the latest developments and scientific studies both in the fields of cosmetics and in the field of manufacturing. 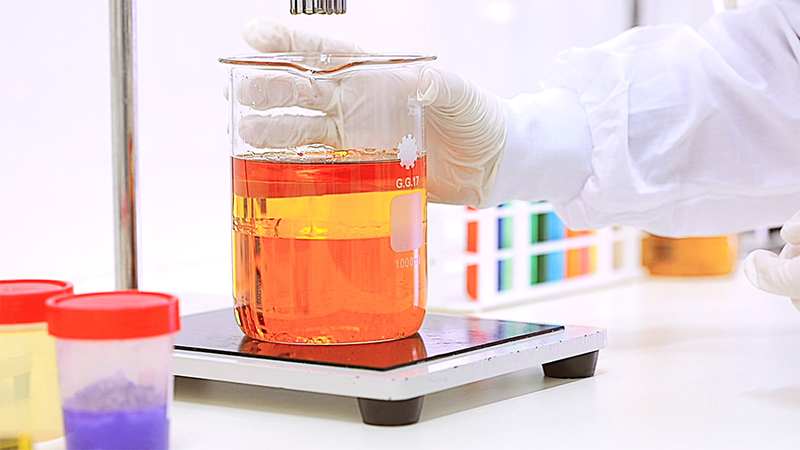 Our research and manufacturing laboratories are among the most advanced in the country. They meet the highest standards to consistently deliver high-quality, high-end products. A well-equipped, state-of-the-art development laboratory, managed by a reliable, professional staff certified and trained in chemistry. Professional, thorough intra-factory and external quality control. 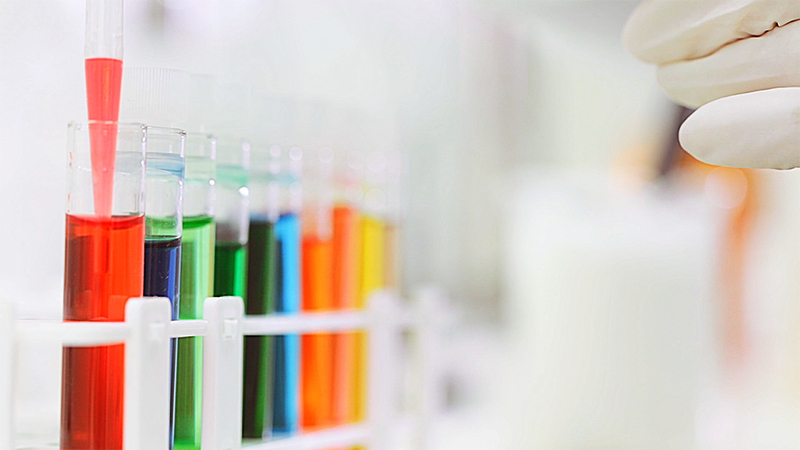 Decades of experience in the manufacturing, distribution, and marketing of cosmetic products. Regulatory department – certifications and licensing. All of the company products manufactured within our factory undergo stringent testing. 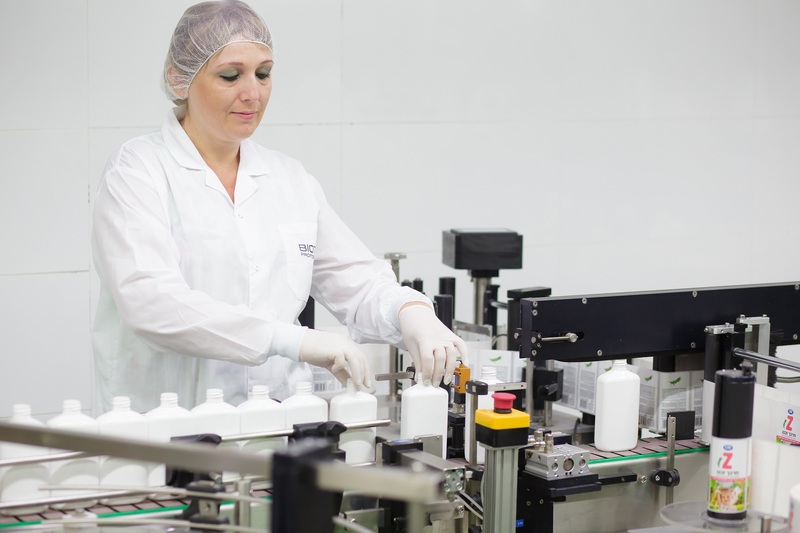 The products are submitted for approval by the Israeli Ministry of Health, as well as to overseas authorities in accordance with the requirements and needs.